Albuca rogersii BULBAlbuca setosa (medium) BULB. 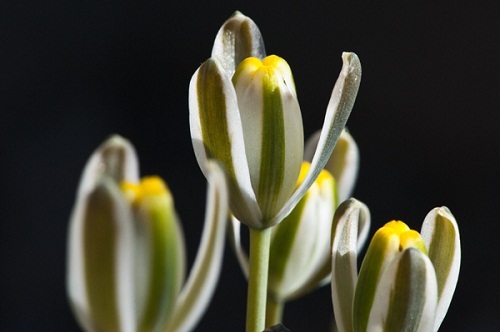 Albuca setosa (large) BULB. (Hyacinthaceae). It has erect flowers on long pedicels, which is white with green keels. The outer 3 tepals spread out like any normal flower, but the inner 3 stay more or less closed. The general appearance is therefore somewhat like a snowdrop. Flowers appear in summer. The leaves are thick, pointed and erect with brown fibours in the neck. Sowing : Sow seeds on the surface of a well drained seed sowing mix at about 22°C and keep wet. Locality : Ex Hort.